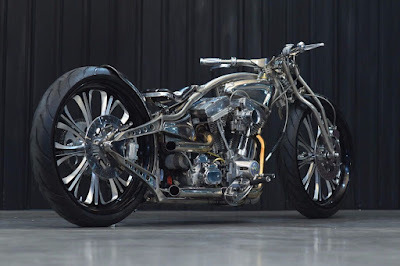 Indonesian Kustom Kulture Festival (Kustomfest) has become one of the renowned motorcycle modification barometer as well as the most prestigious automotive event in Indonesia. 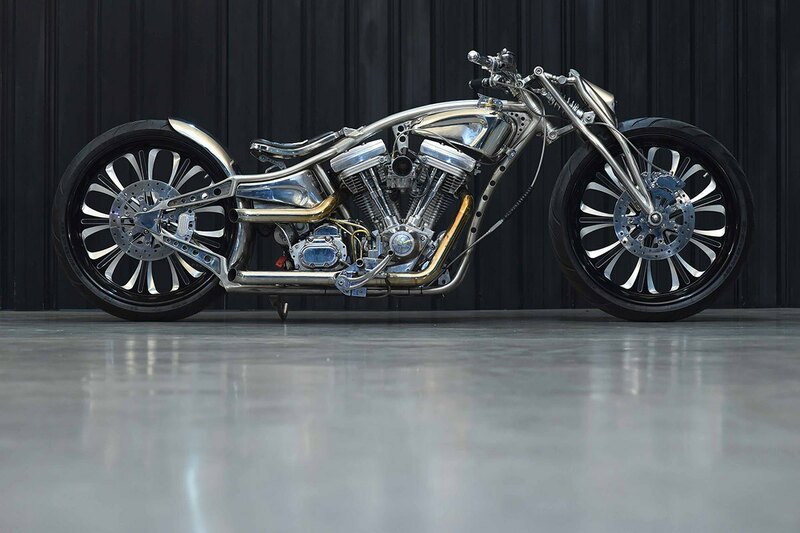 And on this year's event, a custom motorcycle made by KromWorks, named The Stone was chosen as the Best of Kustombike Show Kustomfest 2017-No Boundaries. 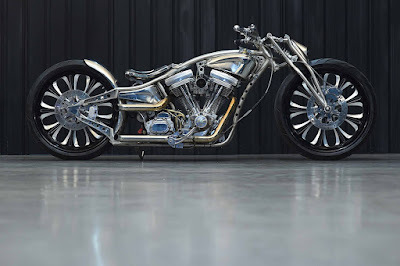 The custom motorcycle built base on the 1995 Harley-Davidson Softail Evolution was the result of a young builder named Andhika Pratama from Ciputat, South Tangerang. 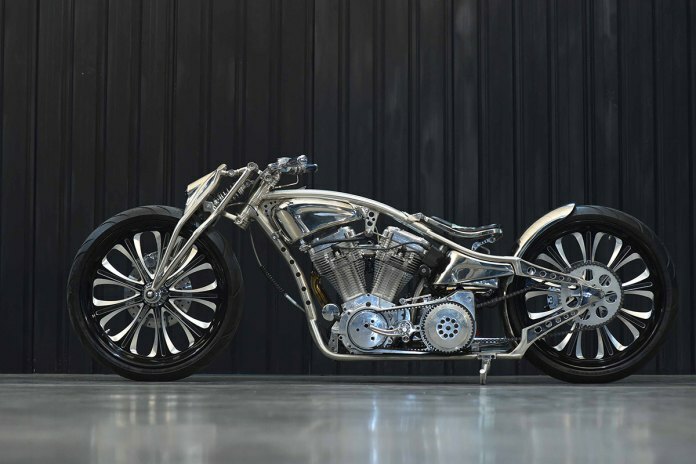 By using stainless steel frame, the custom motorcycle was able to steal the attention of some local and international guest juror who attended such as Yaniv Evan, Christian Sosa and also Shige Suganuma during the presentation session on Sunday afternoon (October 8, 2017). 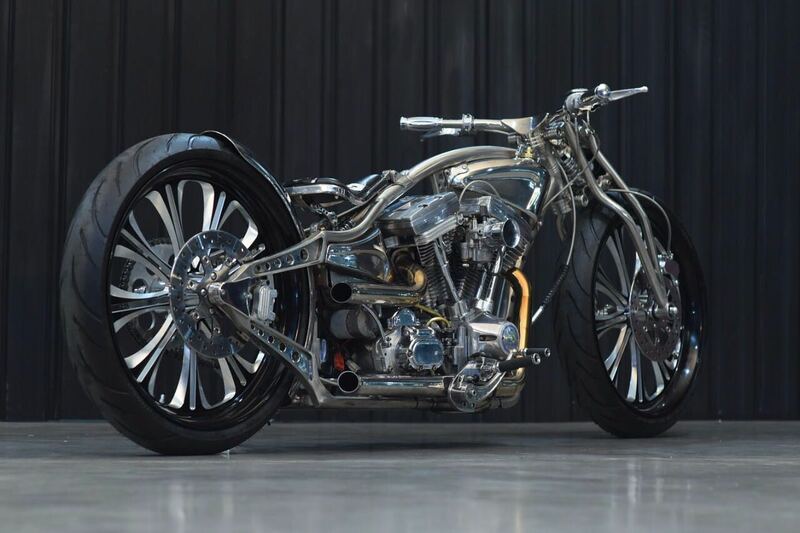 Almost all parts of these custom motorcycle made by handmade for seven months. "Every part we make on these motorcycle is really we look at one by one if it is feasible to be applied, all with careful consideration starting from the unique form and functional aspect to be worthy to ride on the road," said Andhika. Andhika is one of builders who are included in the group of Indonesian Attack who have received the tickets to be attend one of International custom competitions in Japan and handed over directly by Shige Suganuma, as President Mooneyes who is also the organizer of Yokohama Hot Rod Custom Show. 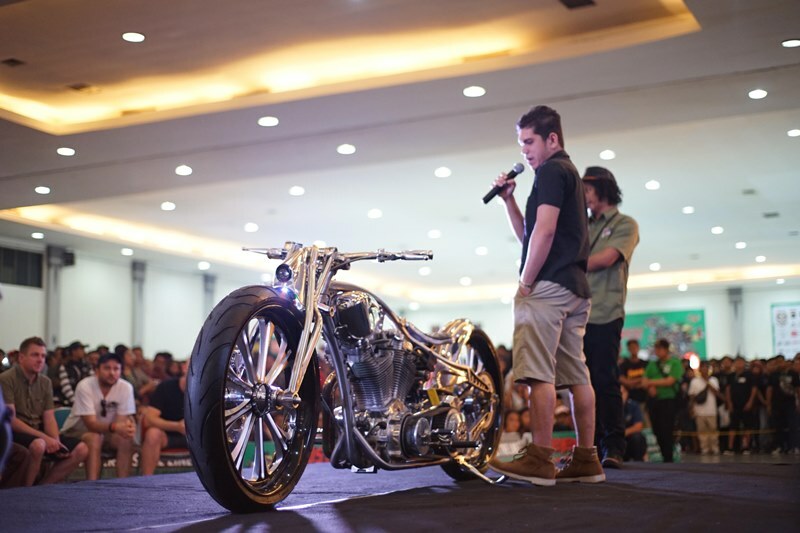 This is not the first time Andhika received an award from the Kustomfest event. Because in 2015, came with a 1953 Matchless custom motorcycle, he took the tittle of Cafe Racer Day Kustomfest 2015. Even this motorcycle was chosen directly by Geoffrey Baldwin from an Australian media called Return of the Cafe Racers, and also got Cherry's Company's Pick in the form of helmets handed directly by Koichiroh Kurosu.